Summary: Beginning May 2018, banks will need to follow new Treasury Department rules to identify beneficial owners by both ownership and control. Here's what your bank should know. Now that scientists have cloned monkeys in China, people wonder how long it will be until humans are cloned. For what it is worth, since Dolly the sheep was cloned in 1996, scientists have cloned camels, cattle, cats, coyotes, dogs, fish, frogs, goats, horses, ibex, mules, pigs, rabbits, rats and even wolves. 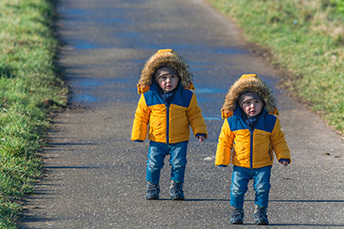 Heck, even human embryos have been cloned. The big breakthrough though it seems, at least scientifically speaking, is primates. The good news is that, for those who have always worried that robots would take over the world, you can now turn your attention to your own clone instead. Beginning in May 2018, banks will have to follow newly cloned Treasury Department rules around BSA/AML. The rules require written procedures to identify the ultimate, beneficial owners of legal entity customers to bank AML compliance programs. There is a two-part approach to identifying beneficial owners: ownership and control. For the ownership piece, banks must identify people with at least a 25% stake in the legal entity that is the bank's customer. In practice, regulators may expect bankers to identify stakeholders who own as little as 5% or 10% of a bank's customer, especially with higher-risk clients. NGOs, charities & religious organizations are exempt from this piece. There's also no need to calculate or otherwise independently determine the percentage of a customer business that an individual owns as banks can rely on the information customers provide. For the control piece, banks must identify someone within the customer's management who is significantly in charge of directing that customer. A CEO, COO, or other C-level executive is a good example. Again, banks rely on the information customers give them to make this determination. Both new and existing clients are subject to the requirement. Overall, the new regulations may strain relationships with some customers, who may find the new information requirements excessive and intrusive. "Say there's a person who comes in to open an account for a commercial enterprise," says Rob Rowe, vice president and associate chief counsel for regulatory compliance at the American Bankers Association. "Now they'll need to provide all of this information that we always tell people not to give out because of identity theft concerns." Existing customers may also balk at the need to give out much more data than before. So, bankers will need to be open with customers about the new requirements, emphasizing that you are not asking for more information than is necessary. Give them plenty of advance warning before the rule goes into effect, so the new requirements don't appear to come out of the blue. Overseas clients could cause additional issues. These customers are less likely to be familiar with US banking requirements than are domestic customers. In addition, some countries like Canada and France have strict rules about how data can be transferred and shared. Having more detailed, accurate information about clients will not only keep community banks compliant, but will also help many banks offer better customer service or expand cross sell opportunity perhaps. Since you have to do it anyway, you may as well get on board. At least you won't have to clone yourself to deal with all this work until May, when the new rule kicks in. The Treasury Department is now reportedly reviewing the legal aspects of prior regulatory guidance due to Attorney General Session's revocation of the overall Federal policy on cannabis and state laws. We will keep you informed as things develop here. More than $100B in global cryptocurrency evaporated in 24 hours, as worries over certain exchange manipulation, inflated pricing and tighter regulation caused prices to plummet. ICBA reports Adrenaline research finds that since 1992, the volume of branch transactions has declined 45% and that pace continues at a rate of 6% to 7% per year. The latest Bank Director M&A survey finds 51% of those surveyed say they see the current bank M&A environment as either no more or less favorable than last year or less favorable, while the roughly other half of the group say it is more favorable. A closer look at the Fed's unprecedented action against Wells Fargo replacing board members and reducing its growth is very impactful. It means Wells will have to tread water on asset growth, likely leading to more loan sales, potential sale of noncore business lines and turning away larger depositors. These could all be beneficial to community banks seeking customers over the short term perhaps.